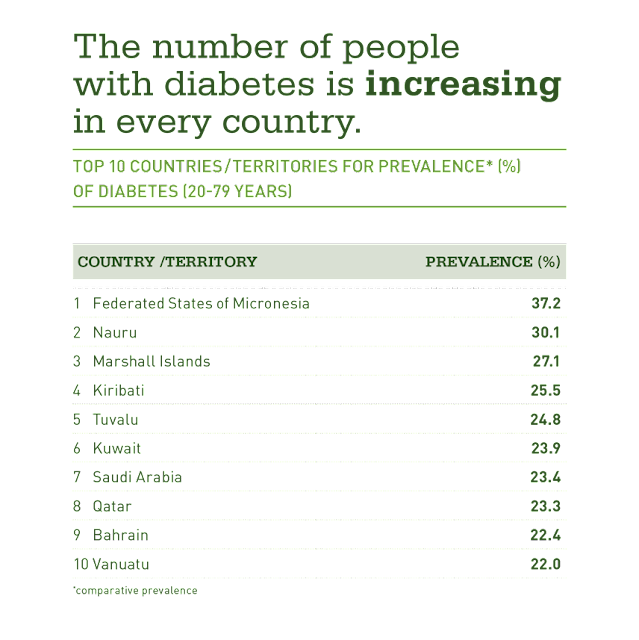 Figures till November 2012 show that the top 5 countries with the highest prevalence of Diabetes Mellitus are from the pacific islands. 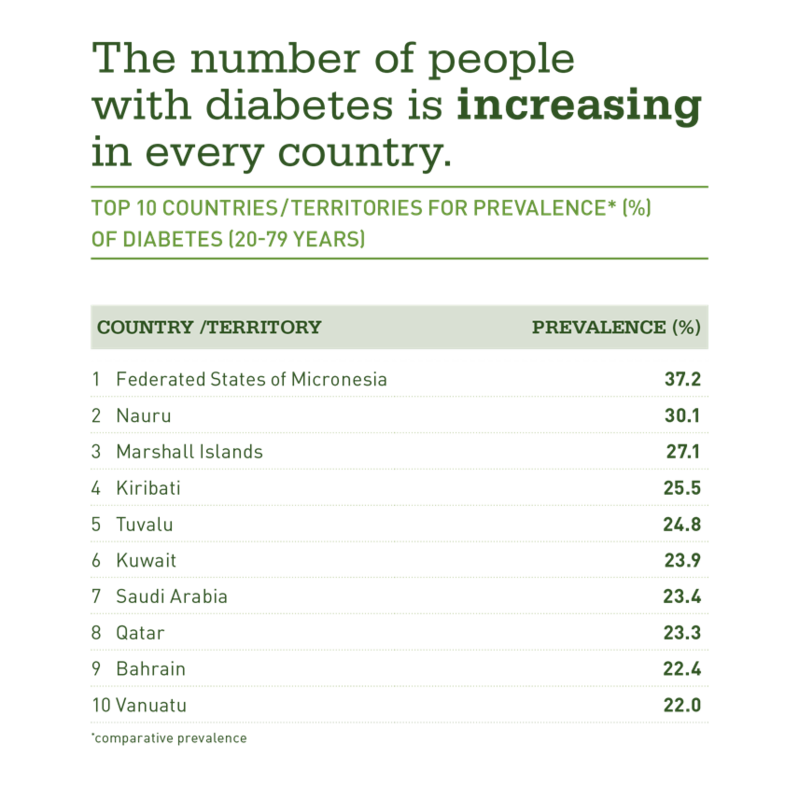 They may be the smallest islands but the epidemic of diabetes is one of the worst there. More than a third of adults in some of these countries have diabetes and the combined toll of complications, deaths and loss of income make diabetes a real threat not just to the individuals experiencing the disease but also to the economies of the countries themselves. 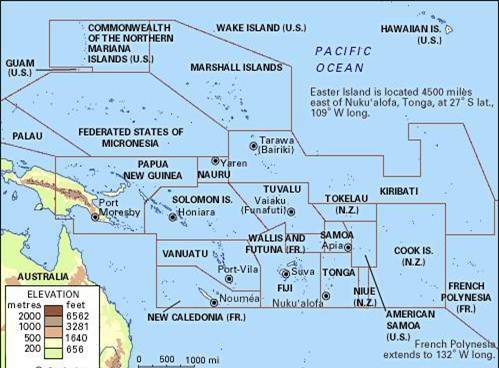 Above is an image showing the locations of the pacific islands.